A few months ago, we saw a report on the fees charged by eminent lawyers like Fali Nariman, Ram Jethmalani, Harish Salve, Soli Sorabjee, Mukul Rohatgi etc for the stellar work done by them in delivering justice to their clients. Interestingly, the fees that these stalwarts charge (a couple of lakhs per hearing) is a pittance compared to the fees that their counterparts in London are able to command. According to a report in Bloomberg, top lawyers in London are now charging more than £1,000 (about Rs. 1 lakh) per hour. The report points out that the average hourly fee charged by partners in the city’s biggest and most profitable firms in 2015 was 850 pounds. It peaked this year at a record 1,100 pounds, or 18 pounds per minute. The report highlights the fact that legal fees can spiral into horrifying sums. A 2013 lawsuit between Alexander Vik, a Norwegian entrepreneur, and Deutsche Bank AG left the entrepreneur with a 36 million pound (Rs. 355 crore) legal bill after he lost in London courts. In the U.K., the loser pays the winner’s legal costs. Another example is that of The Bank of England which paid 2.9 million pounds (Rs. 28 crore) to lawyers investigating alleged foreign-exchange market rigging. The fee was criticized because the lawyers unearthed evidence which was already known to the Bank. The report also points out that the preference of law firms for billing by the hour rewards inefficiency and leads to a pile up of costs. The law firms are able to get away with such exorbitant fees because there is a lack of transparency on fees and little competition. 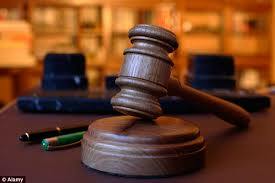 Also, clients have a “fear” factor and do not want to compromise on the quality of lawyers. This allows the “elite” law firms to exploit them by charging any fee that they want. The result is that the civil justice system in the UK has become “exorbitantly expensive” for litigants, the report added. Now, the million dollar question is how long this it will take for this practice of charging exorbitant fees to percolate to Indian law firms and Chartered Accountancy firms? what do we mean by word ’eminence’? it means legislation is woefully very bad, it means law makers make no really meaningful laws. That is hounding for general citizen…..